Let's hope the redesigned Accord doesn't also suffer from this. 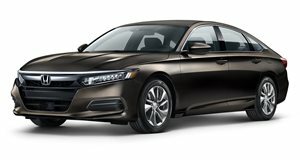 Just as Honda revealed its completely redesigned 2018 Accord, there’s some not so good news for the current generation Accord. Talk about a case of bad timing. 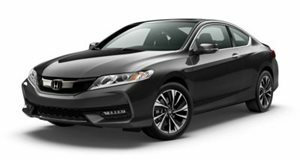 The Japanese automaker has announced a recall of 2.1 million 2013-2016 Accords globally, citing an electrical short that could cause an engine fire. Specifically, the problem lies with an improper seal on the car’s current sensor on its 12-volt battery’s negative cable. Salt, water and other corrosive materials could potentially make contact with the sensor and cause a short. In turn, this would affect the electrical resistance and the sensor would then become hot, and start an engine fire. And this isn’t just some “let’s place it safe” precaution; Honda admits this exact situation has happened to at least four Accords in some salt belt US states. Fortunately, no injuries or accidents have been reported. Honda already has a remedy that involves dealerships replacing the battery sensors. What’s unknown at the moment, however, is whether Honda will replace these sensors in every Accord, or just those registered (or previously so) to owners living in salt belt states. Damaged sensors will obviously be replaced free of charge, while still intact sensors will at first receive an additional sealant adhesive until enough replacement parts arrive. Essentially, damaged sensors are first priority.